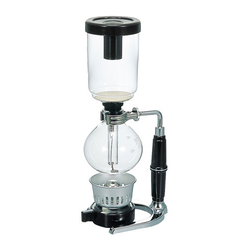 We are a leading Manufacturer of pot assembly and vacuum pots from Faridabad, India. Pot Assembly is made up using Stainless Steel of different grades according to the temperature requirement. MS fabricated water Jacket is provided in the pot to cool down the rubber seal which helps to attain leak-proof sealing. 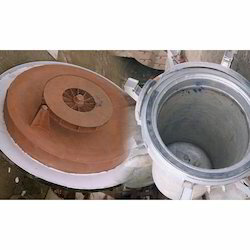 Pot bottom is made in dished form to withstand vacuum stress while the cover top is fabricated using thick MS plate filled with insulation and covered with SS sheet on hot face side. Pot can be made on customized basis. We assure best quality grade material and use best quality rods for welding. Pot assembly can be used for vacuum purpose. Pots can be made on customized basis. The pot is fabricated using dished bottom for improved mechanical strength and uniform heating. Rubber seal is provided to enhance the sealing of the pot and water jacket is provided to cool down rubber seal at high temperature. We make pots for Vacuum Pots specially required in batch annealing generally for Copper wires, MS wires for Galvanising purpose and alloy steels etc. Provision for ammonia cracking also provided in pot.